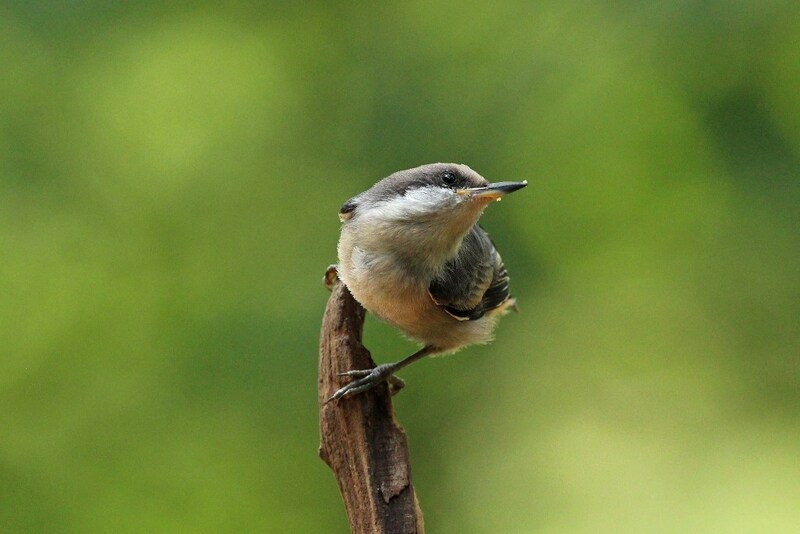 The Brown-headed Nuthatch is by far the friendliest bird in my backyard. This cheerful chirper is highly inquisitive and not the least bit shy. 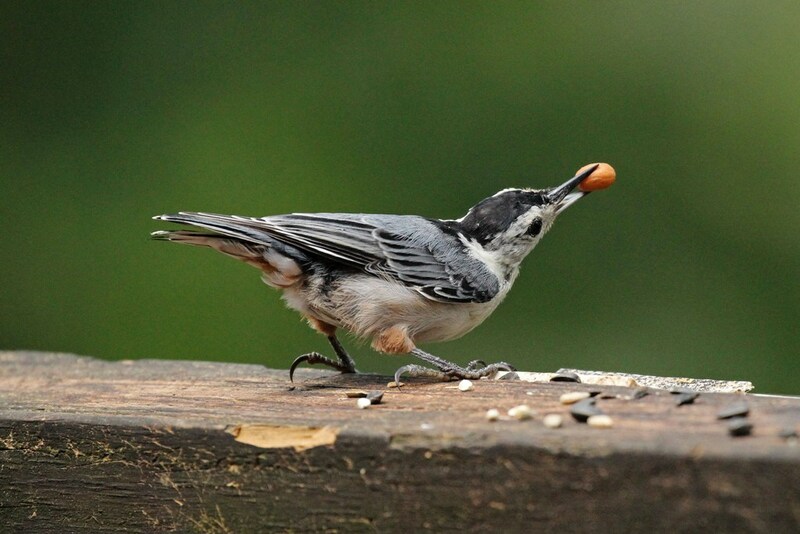 He loves peanuts and Bark Butter, with the remnants of the latter clearly seen around his beak in the picture below! 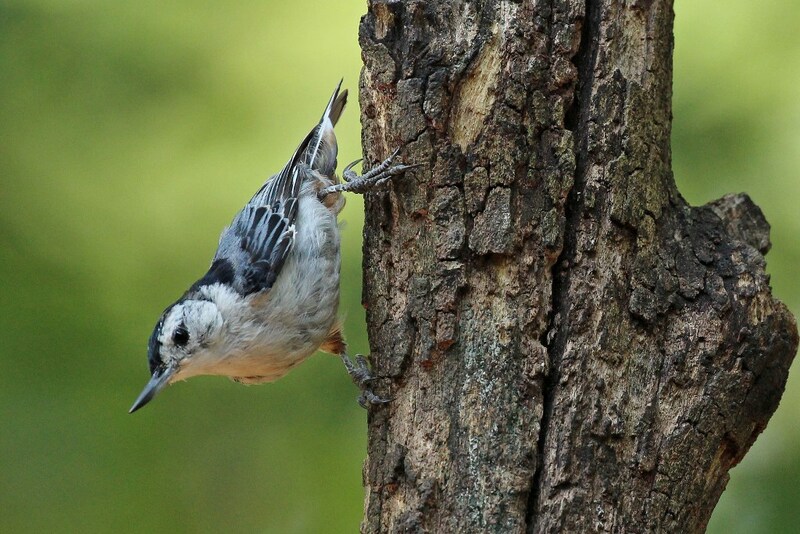 His equally curious cousin, the White-breasted Nuthatch, also shows up on a regular basis. Really, who needs Netflix with these nutty buddies around?! This entry was posted in Backyard Birds and tagged beauty, bird watching, birds, Buthatch, hobbies, nature, photography, writing. Bookmark the permalink. I agree with you Kathy – the beautify of nature is much more stimulating. We don’t have any of these cute birds in my neighborhood. I am glad I can enjoy them vicariously through your posts. Wonderful photos! 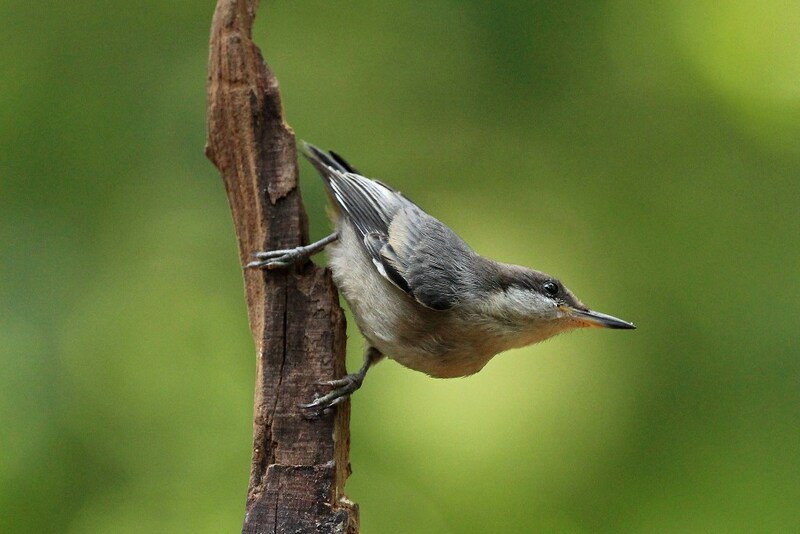 A treat to see a brown-headed nuthatch, we don’t see them here.